Not as dark as others I've made, but blue non the less. Today I had breakfast with my youngest and our dear friend Stephanie and her youngest. Everything was great.....except for this odd moving scarecrow that was on the booth we were sitting at. It's nose......was........well, big, long and very very odd looking. I had to turn it away from us and unplug it as my daughter was getting a little too freaked out because of it. Besides that, we had a great time! I must say I sucked that thing down pretty darn fast. I thought it would have more of a coconut taste to it I'll admit. 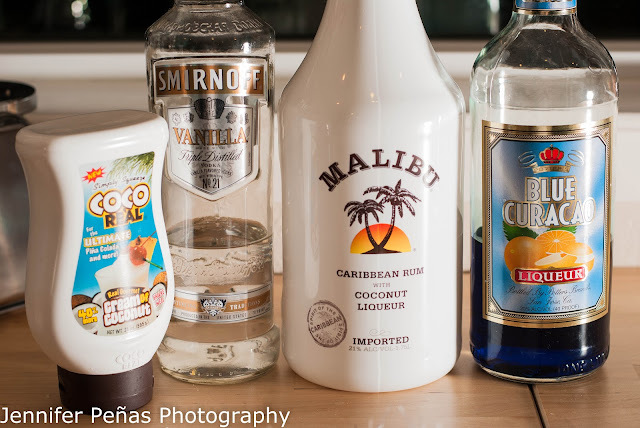 I was able to taste the coconut from both the rum and cream, as well as the vanilla vodka flavor. All three of those ingredients were accounted for.......I just wish that one of them had a little bit more of a presence then the others. I found this cocktail on Pinterest and followed it to a blog that led me to another site, wedding blog by the breakers. I didn't have the coconut shavings that they used to rim their martini glass, and wasn't quite sure about the "Coco Lopez" they used. I searched for it online and found cream of coconut, as well as coconut juice and coconut milk........so I'm not even sure if I'm using the exact ingredients they used. Since I had cream of coconut on hand, that's what I used. 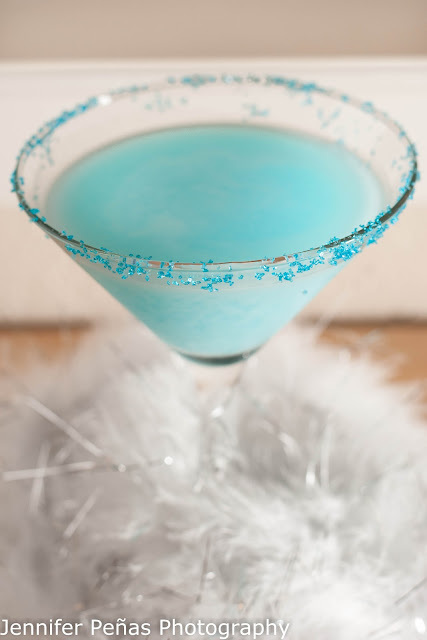 Rim a martini glass with blue sparkly sugar sprinkles........only if you want. In a shaker, add ice and all of the ingredients above. Shake and strain your cocktail into your rimmed martini glass. 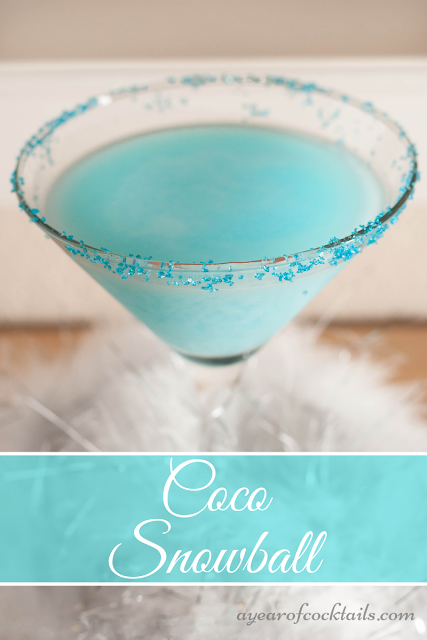 Here's to blue cocktails and coconut flavors in them. I enjoy drinking both.